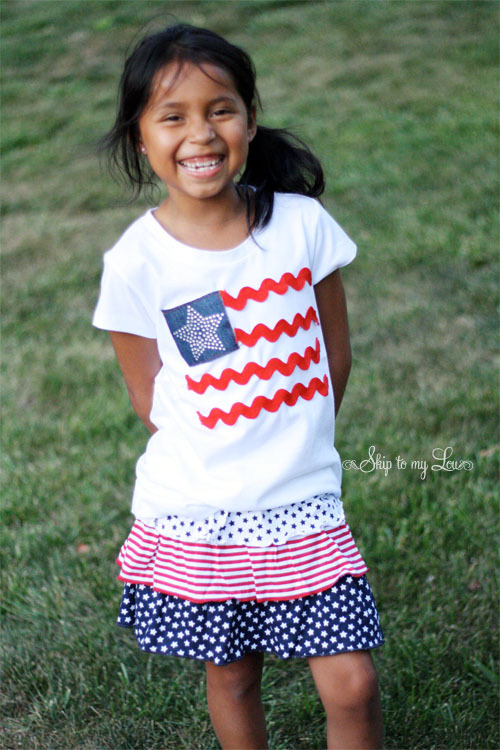 Looking for a fun way to celebrate the fourth? Glam it up with rhinestones. 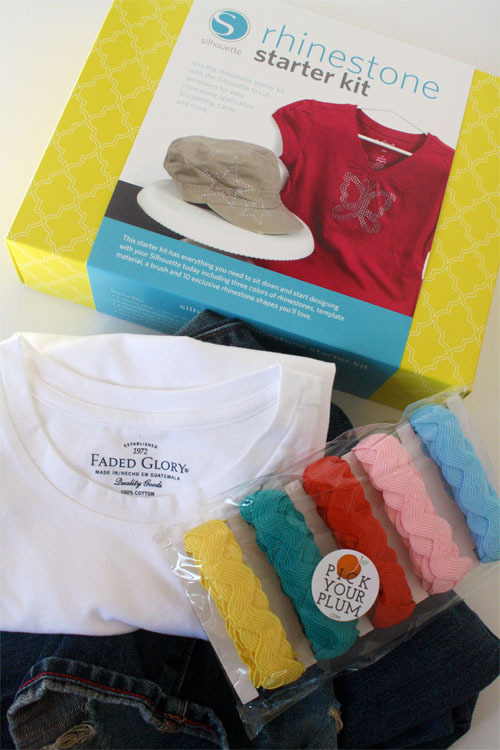 Silhouette has created a fun way to adhere rhinestones to fabric—amazing! Open up your silhouette software. 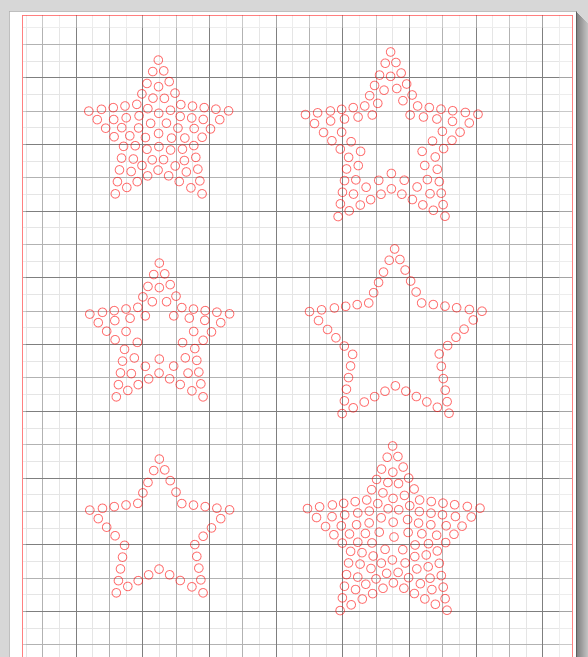 I created these stars for you! 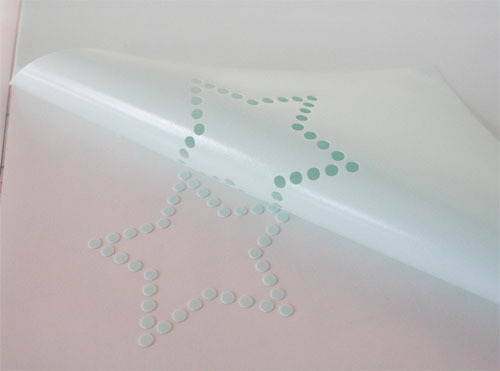 Place the Rhinestone Vinyl green side up onto the cutting mat. Load into the Silhouette. Check your settings and cut! Peel the green vinyl away leaving all the circles behind. Place the green vinyl onto the backer board. 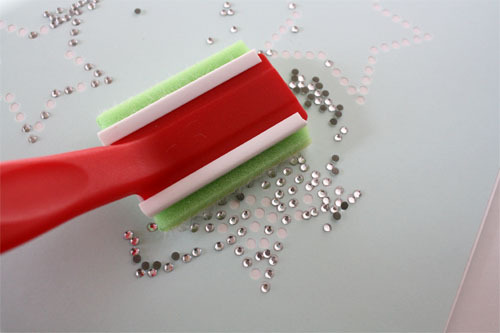 Use the brush in a circular motion to place a rhinestone in each circle. Brush away extra rhinestones. 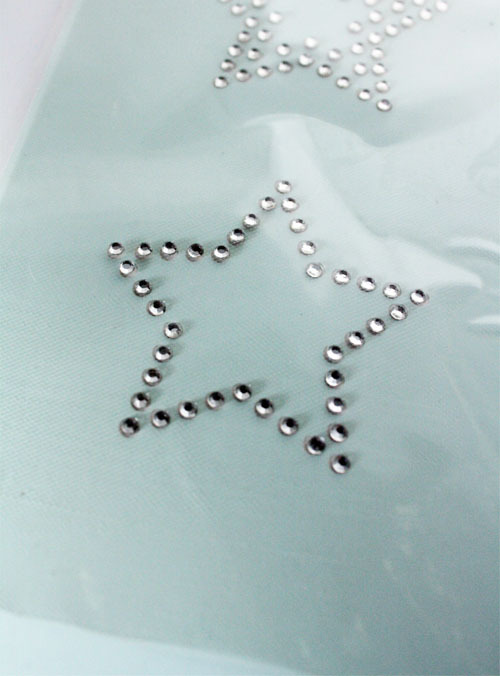 Once every circle is filled with a rhinestone, place a piece of clear transfer tape over the rhinestone design. 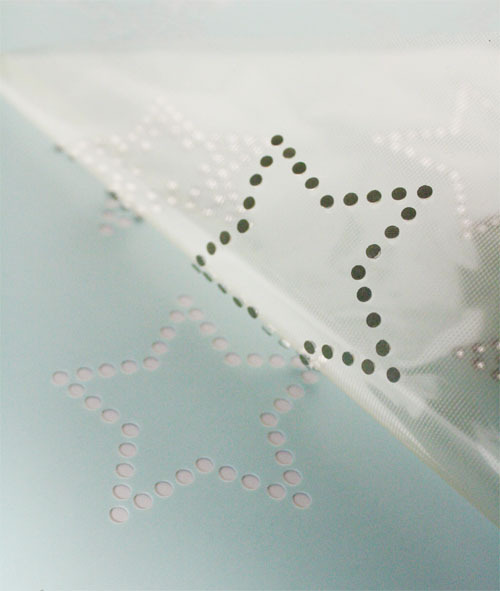 Lift up the clear transfer tape and all the rhinestones will come up onto the transfer tape. 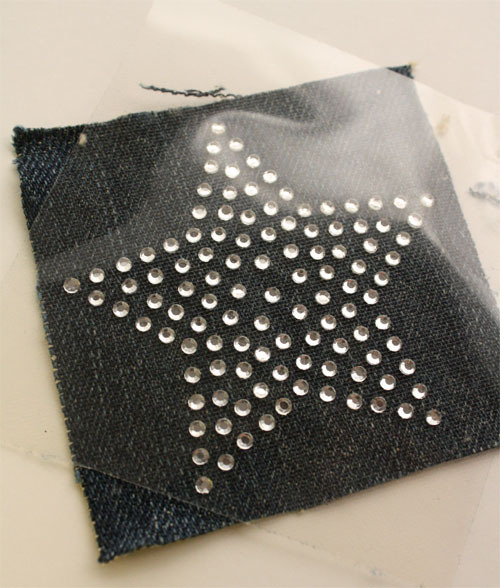 Place the rhinestones onto your fabric. Cover with a thin cloth and iron for about 40 seconds on wool setting. Gently lift up transfer tape. If any rhinestones come up, place transfer tape back down and iron again until all rhinestones are firmly attached to the fabric. 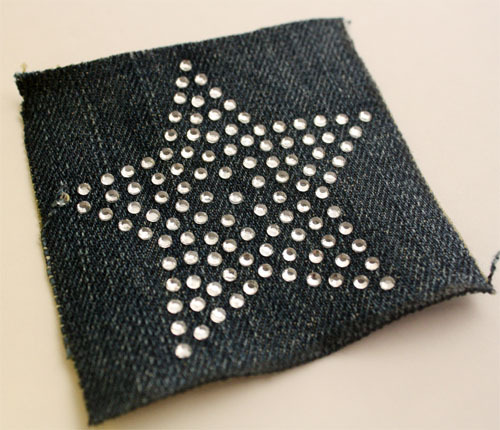 Now sew the little star studded piece of jeans onto a white t-shirt, along with strips of jumbo ric rac. I follow skip to my lou on facebook! I would love this.. have recently really gotten into reimagining previously loved materials, and this would really add some glam to my projects.. looks like so much fun! I will be making banners for weddings. Love the cameo silhouette. I make cards for kids that are in the hospital. 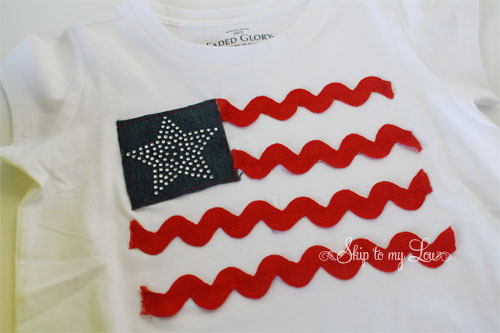 I would make matching rhinestone birthday shirts for my twin girls who are about to turn 1!! I'd love to make shirts for my daughter's girl scout troop. Baby room decor, I have so many ideas and no awesome tool to complete them! already follow shilouette on pinterest! !